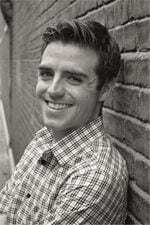 Sean Spyres holds a Master of Music degree in voice and opera performance and has performed around the world. Spyres made his European debut in 2006 singing Don Ottavio in Mozart’s Don Giovanni in Hartberg, Austria and also sang the role of Doge in Rossini’s Otello in a production at the Rossini Festival in Bad Wildbad, Germany that is currently available under the Naxos label. He is currently teaching PPT voice classes at Springfield Little Theatre and is also the administrative director and education director at Springfield Regional Opera. Spyres has co-written the original operas Alice in Wonderland: A lesson in honesty and The Wizard of Oz: A lesson in cooperation and also directed Donizetti’s Don Pasquale at the Gillioz Theatre in March 2017. As a teacher, Spyres has taught master classes, specifically on musical theatre vocal technique, and continues to maintain a private voice studio. He has been seen locally on the concert stage performing as the tenor soloist in Mozart’s Requiem, Haydn’s Creation, and Mendelssohn’s Elijah. Other regional performances include Trial by Jury (The Defendant), Hot Mikado (Nanki-Poo), Carmen (Dancairo/Morales), Rigoletto (Borsa), and La Boheme (Benoit/Alcindoro) with Springfield Regional Opera, as well as Pirates of Penzance (Frederic) and Die Fledermaus (Blind) with Light Opera Oklahoma. 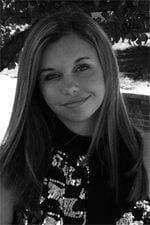 Haley is currently a Sophomore at Missouri State University studying for a BFA in Musical Theatre. She is also an SLT Y.E.S. Troupe alum. Stage credits include: Legally Blonde: The Musical (Margot), Into the Woods (Little Red) and Hair (Jeanie) at Missouri State University; All Shook Up and My Fair Lady (Ensemble) at Tent Theatre; The Marvelous Wonderettes (Cindy Lou) at Springfield Contemporary Theatre; and Seussical Jr. (Mayzie La Bird) at Springfield Little Theatre. Clayton is a Springfield native and Y.E.S. Troupe alumnus. He has appeared in fourteen SLT productions, most recently as Roger in Grease, and will appear in the upcoming Jesus Christ Superstar. Other favorite SLT credits include The Wizard of Oz (Zeke/Lion); Shrek (Farquaad); I Love You, You’re Perfect, Now Change; Monty Python’s Spamalot (Historian/Not-Dead-Fred/French Guard/Minstrel/Herbert); and The Buddy Holly Story (Buddy Holly). Clayton holds a Bachelor of Arts in Theatre and a Bachelor of Arts in Music from Drury University. He has performed at a number of other venues, including Springfield Contemporary Theatre, Drury University, Tent Theatre, Western Playhouse, Great Plains Theatre, and as Skeeter in Dolly Parton’s Dixie Stampede in Branson. In addition to performing, Clayton enjoys instructing children and adults alike in acting and music. 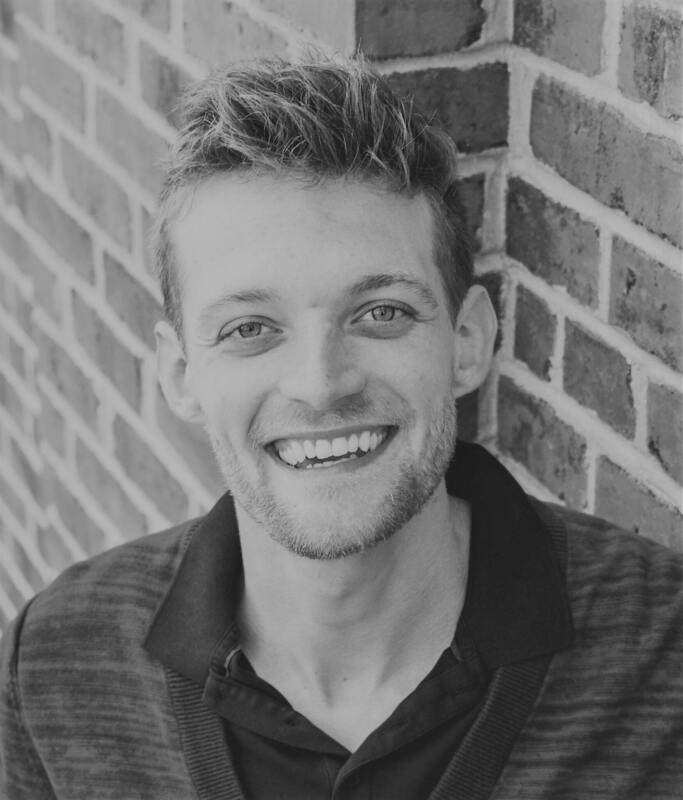 As a musical director, Clayton has worked on SLT’s productions of Disney’s Sleeping Beauty Kids and the upcoming Freckleface Strawberry: The Musical, as well as Great Plains Theatre’s production of She Loves Me. Clayton is thrilled to use his character building skills and passion for theatre and music to provide a solid performance foundation in the aspiring student. Stacey was born and raised in Mesa, AZ. She began dancing at the age of 8 with Michelle Rozeboom. She began training with Marion Sawyer and Mary Ellen Bryan of Alleluia Ballet at age 10. She also began training in the Royal Academy of Dance under Mary Moe Adams the same year. She continued in this syllabus to finish Grades 6-8 with Distinction and passed her 4 Vocational Exams with Distinction and Merit. She attended Summer Dance Intensives with Ballet Magnificat!, in Jackson, Mississippi, under Kathy Thibodeaux, and at the age of 18 was accepted as a Trainee with the company. In 2006, Stacey was asked be an Apprentice with Ballet Magnificat! Omega Company, under the direction of Jiri Voborsky, and toured nationally and internationally. 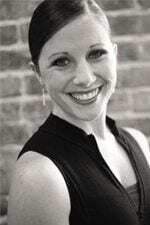 In 2008, she moved to Springfield to dance with PETRA Ballet Company under the Artistic Direction of Kimberly Raymond. 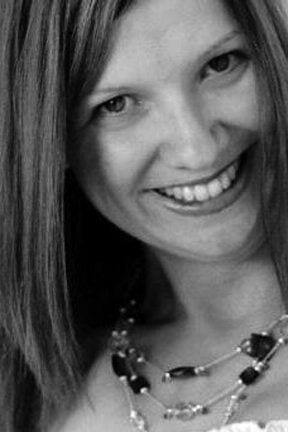 Besides dancing in Company performances and in productions for Springfield Little Theatre, she assisted with the choreography for the PETRA original work, entitled, Restored. Her other professional performing experience included a three week visit to Jerusalem in 2008, to perform with the International Christian Embassy for the High Holy Days. 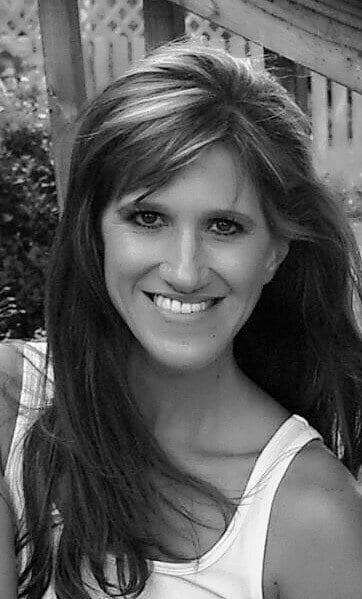 Her teaching experience includes classical ballet, pointe, lyrical, jazz and improvisation. 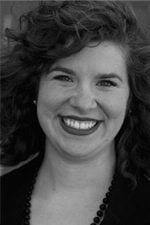 Jessie McGoldrick Cowen is a Springfield native with over a decade of performance experience under her belt. An accomplished performer, Jessie started singing in church at 4 years old. From there her love of music grew and she went on to be involved in productions at Springfield Little Theatre, Parkview High School, and Southwest Baptist University. After college, she decided to pursue singing professionally. She was featured in many shows along the “Branson strip” including Country Tonite and Lost in the 50s. After a few years in Branson she spent a year traveling with Carnival Cruise Lines as a production singer, then returned home to work at Silver Dollar City for 9 seasons. Jessie is thrilled to be able to take her experience and help guide young inspiring artists on their journey. 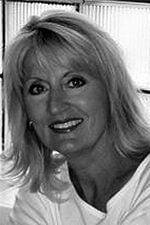 Lorianne has served as Education Director for SLT for 13 years. Her Landers stage credits include direction and choreography for SHREK the Musical, Disney’s The Little Mermaid Jr., CATS, Seussical and Seussical Jr., Annie, Once On This Island, Oklahoma!, and Joseph and the Amazing Technicolor Dreamcoat, and she’s choreographed productions of Legally Blonde, The Full Monty, Cinderella, Godspell, Beauty and The Beast, The Wizard of Oz, Fiddler on the Roof, Peter Pan, and Seven Brides for Seven Brothers, to name a few! 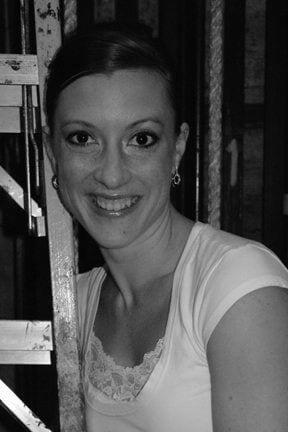 She trained with Springfield Ballet, State Ballet of Missouri, Alabama Dance Theatre, and School of American Ballet (the New York City Ballet School), holds a BFA in Dance Performance from MSU, and her choreography has won national recognition including a Dance Magazine Award Nomination for Choreographer of the Year. Named “20 Under 30” by 417 Magazine in 2006, Lorianne would like to thank her awesome team of education instructors, the Landers staff, and the many passionate young students and performers at SLT who inspire us all! Genevieve Fulks made her SLT debut in Miracle on 34th Street: The Musical, and is thrilled to now be teaching in the Education Program! Originally from Arkansas, she holds a Bachelor of Music degree in Vocal Performance from the University of Central Arkansas and a Master of Music degree in Vocal Performance from the University of Tennessee. Professional credits include Nella (Gianni Schicchi), Cinderella (Cinderella), Sandman/Dew Fairy (Hansel and Gretel), Papagena (The Magic Flute), Nursery Magic Fairy (The Velveteen Rabbit), Hattie Dog (Go, Dog. Go!) and Pinocchio (Pinocchio). Genevieve is a studio artist with Springfield Regional Opera, where she will perform two principal roles in the upcoming production of Le Nozze di Figaro. Greatest thanks to her husband, Blake, who supports her every artistic endeavor and endures her random bursts of singing throughout the house. Susan holds a Bachelor of Music degree in music education from Southwest Baptist University and a Master of Education degree from Drury University. She has been at the helm as music director for more than 30 SLT mainstage productions including favorites such as Cats, Chicago, Les Miserables, Mary Poppins, and Jesus Christ Superstar. She has also performed onstage with Springfield Regional Opera, Broadway Branson, The Messiah Project, and many Landers productions. 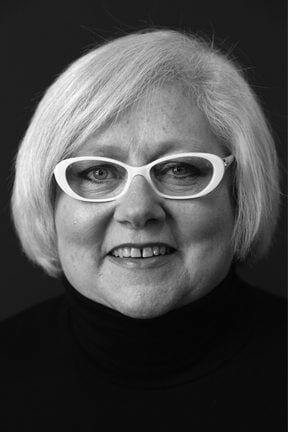 In addition to her theater credits, Susan maintained a teaching career in vocal and instrumental music for 35 years. She loves collaborating with colleagues, musicians, actors, and students to create magical experiences for theatergoers. 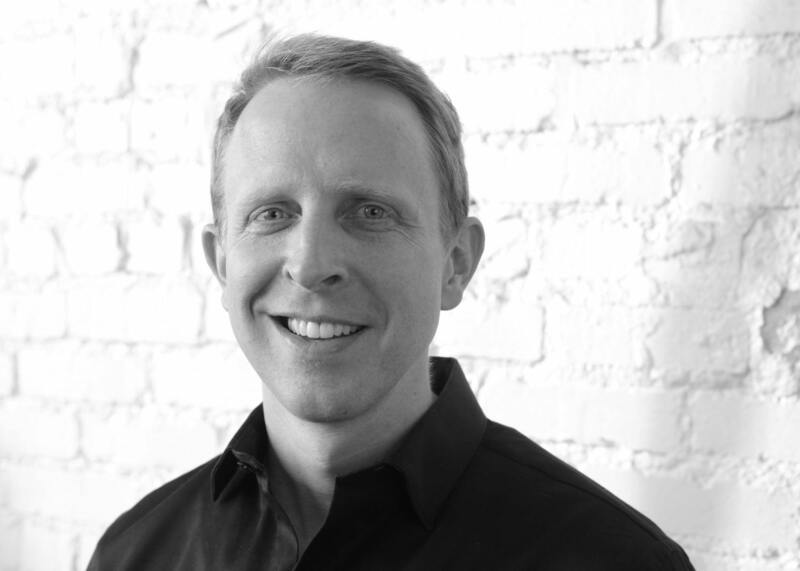 Josh Inmon holds both undergraduate and graduate degrees from Missouri State University. A Y.E.S. Troupe alum, Josh is thrilled to now serve as choreographer. 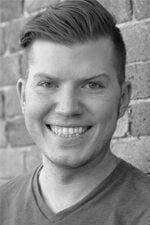 Josh is an adjunct faculty member and resident choreographer for Drury University’s Theatre Department. He is also the Marketing Associate at Juanita K. Hammons Hall. His choreography credits include productions of The Buddy Holly Story, The Drowsy Chaperone, The Rocky Horror Show, and Les Misérables, in addition to directing Drury University’s 2012 production of Curtains. This season, Josh’s choreography can be seen in SLT’s productions of Disney’s Mary Poppins and 25th…Spelling Bee, Drury’s Violet, and SCT’s Spring Awakening. Josh was recently named one of 417 Magazine’s “20 under 30,” and has been seen on the Landers stage in over 25 productions. Abby is a senior at Grace Classical Academy, and is a member of SLT’s Y.E.S. Troupe. She has been involved with Springfield Little Theatre since 2010 and has performed in several productions, including Treasure Island, Thoroughly Modern Millie Junior, Guys and Dolls Junior, The Music Man Junior, SHREK the Musical, and recently appeared as Princess Winnifred in this summer’s Once Upon A Mattress. She is also a company member in Disney’s Mary Poppins starring Kim Crosby, where she also serves as Dance Captain. In addition to her studies and experience with SLT, Abby has trained with Petra Ballet Company and is excited to be teaching students dance at SLT! Jessica is thrilled to share her passion for teaching and collaborating with young artists at Springfield Little Theatre. An SLT Y.E.S. Troupe alum, Jessica grew up on the Landers stage performing in shows under the direction of Mick Denniston, Beth Domann, and others. She currently serves as lead acting instructor for SLT’s Pre-Professional Track Program and Youth Performance Troupes. Stage credits include You Can’t Take it With You (Alice Sycamore), Tent Theatre; Cat on a Hot Tin Roof (Maggie) and Les Miserables (Ensemble), Springfield Little Theatre. 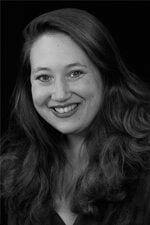 Regionally, she has worked with Dalliance Theater, The Storm Theatre, NY Fringe, and The Looking Glass Theatre. 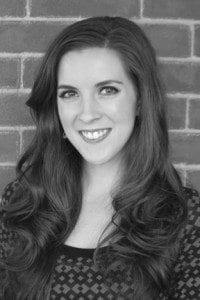 She holds a BFA in Acting from Webster Conservatory and in 2013 was named as one of the “20 Under 30” by 417 Magazine. Alice Wiley Pickett is an actress, director, and theatre educator. She performed for many years in regional theatres on the West Coast, including Pacific Repertory Theatre (Hermia in “Midsummer Night’s Dream” and Sylvia in “Two Gentlemen of Verona”) and Perseverance Theatre (Marie in “On the Razzle”), and was a company member and teacher at the Blue Room Theatre (Catherine in the West Coast premiere of “Northanger Abbey,” Fannie in “On the Verge,” the Governess in “Turn of the Screw,” and Suzanne in “Picasso at the Lapin Agile”). She directed “Once on this Island, Jr.,” and “Annie, Jr.,” for Chico Performances, “The Soldier’s Tale” for the North State Symphony, and “Into the Woods” for Rogue Music Theatre, where she was also Assistant Director for “South Pacific.” She directed “Annie, Jr.,” at the Forte Music School in Portland (OR) and was the director of the Redding (CA) School District’s theatre program, where she directed the Broadway Junior adaptations of “Seussical,” “Pirates of Penzance,” “Aladdin,” “101 Dalmatians,” and “Jungle Book,” among others. She has also performed in many school tours (Mistress Ford in “Merry Wives of Windsor” and the Narrator for “Peter and the Wolf”) and has written scripts for numerous pops and educational concerts for orchestra. She is a graduate of Wesleyan and did her acting training at the American Conservatory Theatre, where she studied speech with Louis Colaianni and acting with Frances Lee McCain. She has also studied voice with Catherine Fitzmaurice and speech with Lynne Soffer. She worked in marketing for two seasons at the Oregon Shakespeare Festival and is a commercial voice-over actress for advertising agencies in northern California, which she has done for more than ten years. She has two boys and is married to Springfield Symphony Conductor Kyle Wiley Pickett. 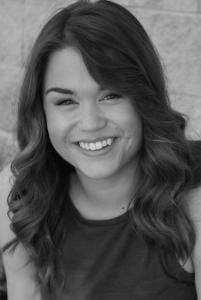 Peyton is a sophomore at Missouri State where she is pursuing her BFA in Acting. 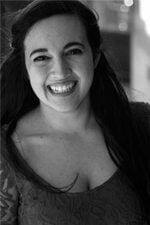 Some of her favorite SLT stage credits include Seussical Junior as a Bird Girl and Shrek: The Musical as a Gnome. She is also a former Y.E.S. Trouper. This is Peyton’s third year as a part of the Education Staff at SLT. During that time, she has taught classes and workshops and was the assistant choreographer for the Little Mermaid Junior. She has also been a part of Summer Staff for two years. This past summer, she was a camp counselor at Point O’Pines Camp for Girls in Brant Lake, NY. Peyton’s passion is children’s theatre and she hopes to turn that passion into her career one day! Alberta L. Smith is a highly respected vocal performer and choir director. She has served as a professional choral director for the past thirty-six years, 30 of those years were with the Springfield R-12 School District where she was the 2012/13 Teacher of the Year. After retiring from SPS in 2015 Alberta began directing the choirs at Ozark’s Technical Community College. ​Alberta holds degrees from Southwest Baptist University (B. M. in Education) and Missouri State University (M. A. in Music Education). Alberta is an active member of MMEA, NAfME, ACDA and MCDA. She was recently honored by the Missouri Choral Directors Association with the Luther T. Spade Award for Excellence in Choral Education. Alberta has been a volunteer, actor, music director and most recently instructor at Springfield Little Theatre beginning in 1971. 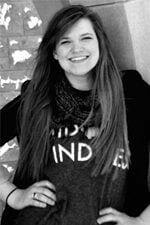 Lora is a junior at Drury University, studying Theatre and Arts Administration. She has served on the summer education staff as an instructor, acting teacher, and choreographer and is delighted to continue working with SLT students throughout the year. Lora is a Y.E.S Troupe alumnus, and has appeared in numerous productions at the Landers Theatre including Big River, Legally Blonde, and Shrek: The Musical to name a few. 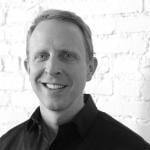 Andy helps oversee the operations of the Education Department and enjoys working with the talented and dedicated young performers here. He has directed several productions including Once Upon A Mattress, Mulan Junior, Once On This Island Junior, and Thoroughly Modern Millie Junior to name a few. He has a degree in Theatre Education from Missouri State. During the Christmas season, Andy performs in A Dicken’s Christmas Carol at Silver Dollar City. He and his beautiful wife, Cathryn, are grateful to work in the arts. They also enjoy spending time with friends and family and are active in church. Cathryn is originally from Boone, North Carolina where she received ballet training at Studio K, and also studied ballet and modern at Appalachian State University. 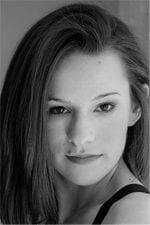 She also studied privately with Cynthia Beers, and in 2006 and 2007 attended Ballet Magnificat! Summer Intensives. In December 2007 she moved to Springfield to become a founding Company Member of Petra Ballet Company where she remained until 2014. She still serves the company as an instructor and costume designer. She has danced in several SLT productions, and also serves on the costume staff where her design credits include Once Upon A Mattress and The Phantom Tollbooth Junior. Her husband, Andy, also works for Springfield Little Theatre, and they are both honored to do what they love. Photo by Anna Lee Photography. Zoe hails from Los Angeles, California and is currently working towards her Bachelor’s degree in Speech and Theatre Education from Missouri State University. She stumbled upon Springfield Little Theatre during audition season her first year in Springfield and fell in love. Performance credits with SLT include Seussical, Jr. (Gertrude McFuzz), Legally Blonde, and Shrek (Gingy/Sugar Plum Fairy). Zoe participated in an acting conservatory at University of North Carolina School of the Arts in 2011 where she focused on acting, singing, dancing, circus, and combat skills. Zoe attended Germantown High School in Memphis, Tennessee where she performed in the school productions in addition to working as publicity director and in their television studio as a lead producer. When she’s not studying or learning with troupers, you can often find Zoe in the Springfield Little Theatre box office.